PIERRE HERMÉ vs LADURÉE Macaron - Which is better ? Which macaron is better ? 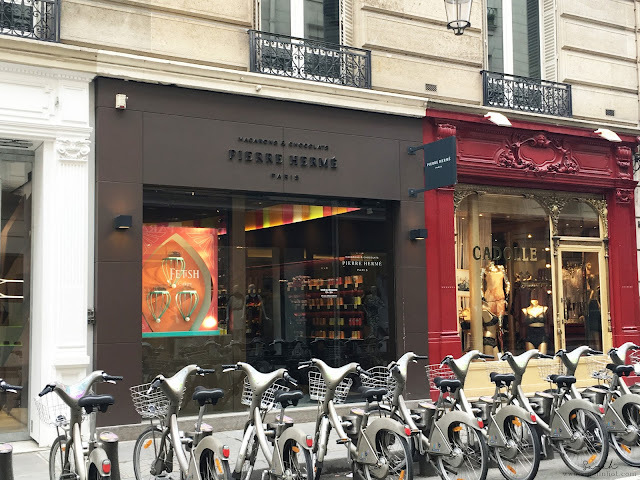 PIERRE HERMÉ or LADURÉE ? When it comes to Pierre Hermé, they have a sleek and modern store design with orange and brown as their theme. 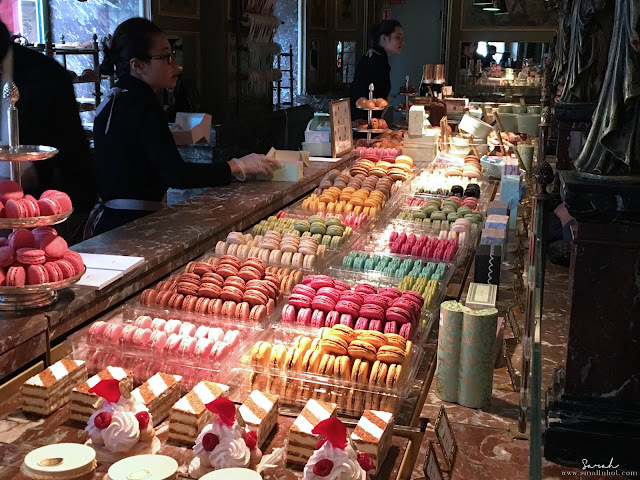 And as you step inside you'll find a wide selection of colorful macarons and chocolates on display. 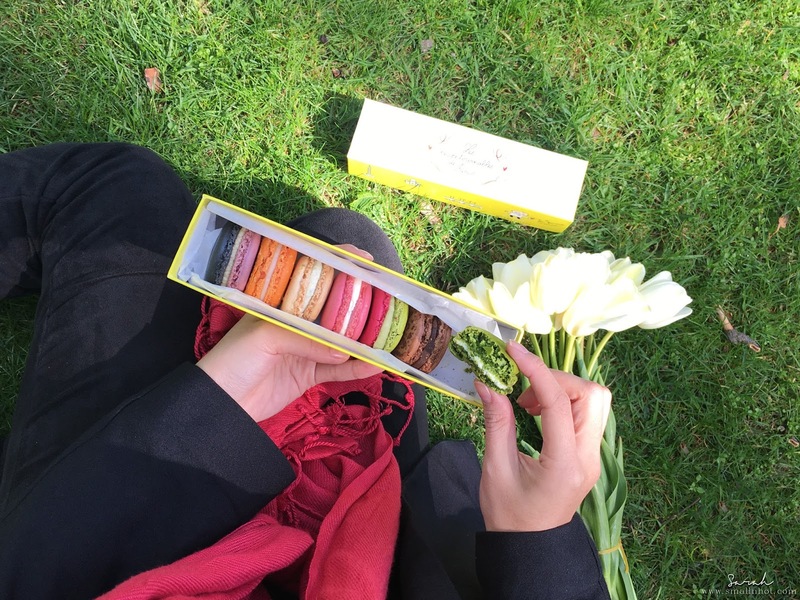 The macarons have a very flavorful and fruity sweetness to them, They also come in the most interesting combinations of flavors like Olive Oil with Mandarin Orange, Strawberry & Balsamic Vinegar, White Truffle & Hazelnut and so on; making it impossible to resist. If you want a fruity, not too sweet and innovative macaron, look no further. Ladurée located at Champs-Elysées (€ 1.85 / pcs). 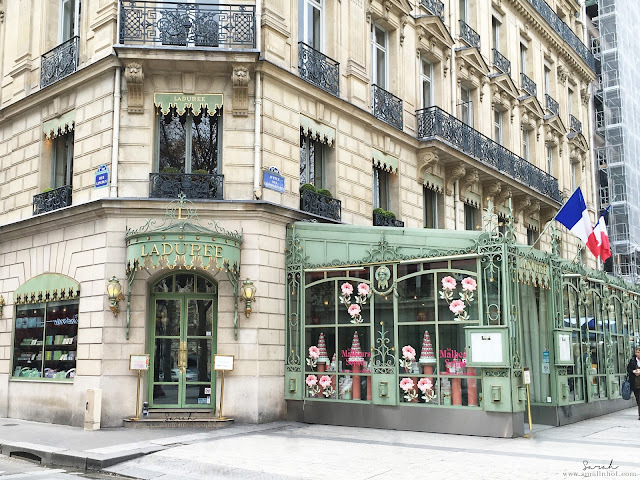 When you walk through the doors of Ladurée at Champs-Elysées, You will be wowed by the 19th century design with a Disney like feel to the place, making you feel like you are entering fantasy wonderland filled with colorful sweets and treats. At the desert counter, you'll be greeted with a wide array of desserts ranging from puffs, cakes and colorful macarons. Now the macarons crumble great in your mouth with it's crisp shell and airy filling which is sweet but not too overpowering that it would take away the flavour of the macaron. Ladurée ticks all the boxes when you want something should I say traditional with fine taste. In conclusion both brands taste delectably fabulous, but it depends on weather your are more adventurous, seeking strong and unique flavors PIERRE HERMÉ will take you places or your like me who wants something simple old fashioned and finely comforting then LADURÉE will keep you warm and fuzzy.